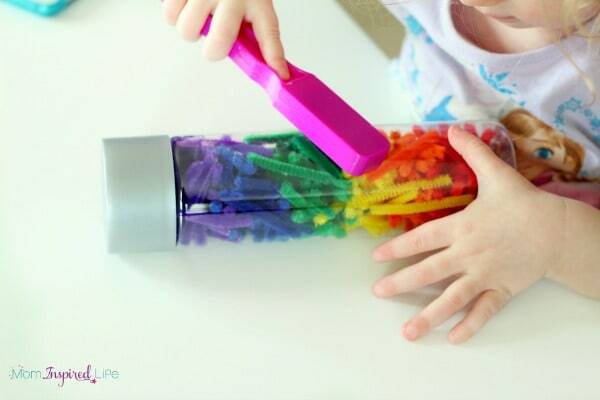 This rainbow pipe cleaner sensory bottle is so pretty and a fantastic way for kids to learn about magnetism! 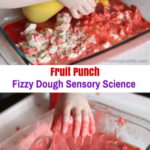 It’s a great science and sensory activity! 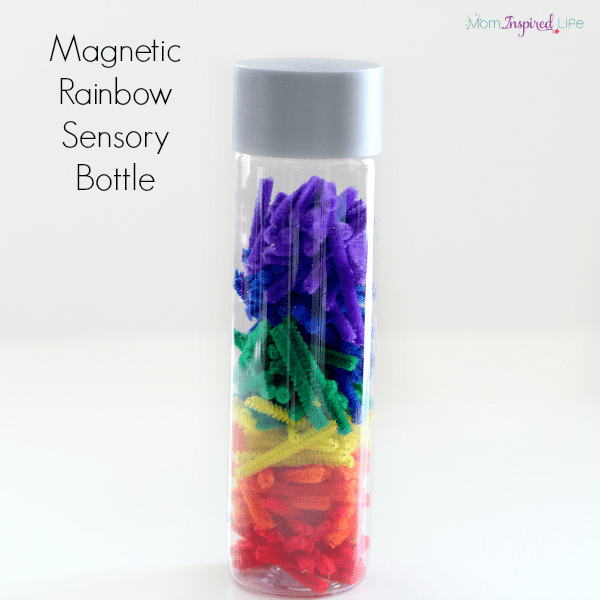 My son had a blast with this neat magnetic Christmas sensory bottle I made a while back, so I thought it was about time I made a new magnetic discovery bottle for him to explore. I was sure my toddler would be intrigued by it as well. It’s very easy to set up and so pretty to look at! 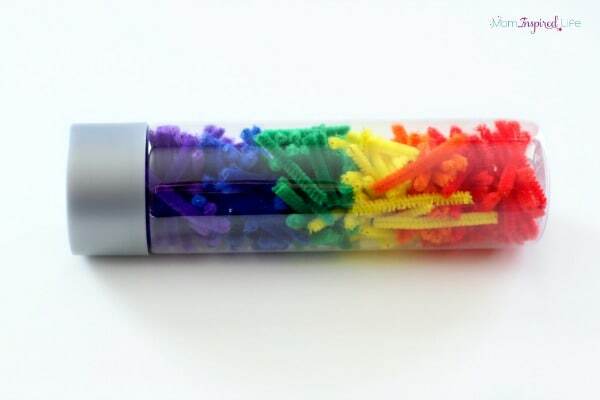 Pipe cleaners in rainbow colors (this is similar to what I got, but definitely look at local stores because these are way overpriced. 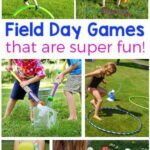 Gather 5-7 pipe cleaners of each color. 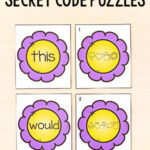 Cut the pipe cleaners in 1 inch pieces and keep the colors separated. 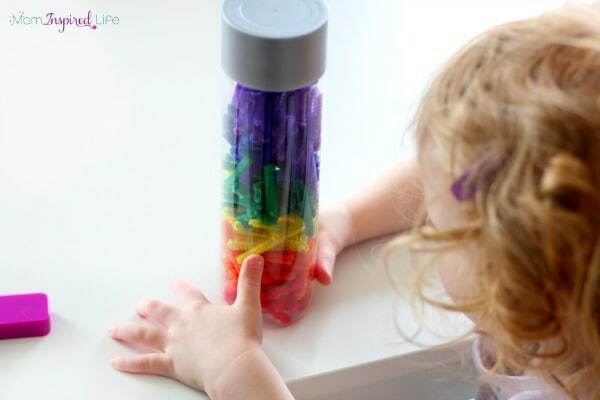 Layer the pipe cleaners in rainbow order in the bottle and put the lid back on. If you are worried about young kids opening the bottle and removing the pipe cleaners, I would suggest hot gluing the lid on. 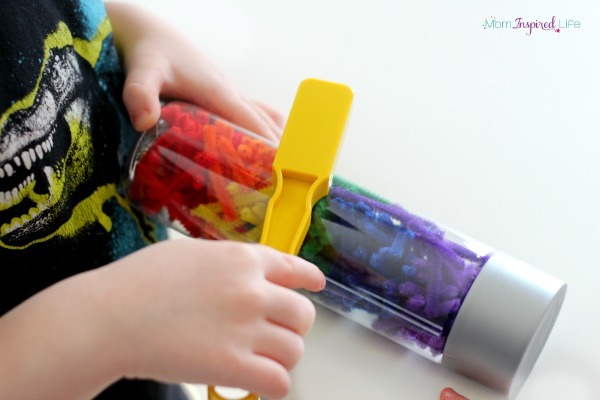 I placed the rainbow discovery bottle and magnetic wands on the table and let my kids find it. When they did, they were eager to look at the pipe cleaners in the bottle and use their wands on it. They both thought it was the neatest thing that they could drag the pipe cleaners around a bit with the magnet. Unfortunately, the plastic was a bit too thick to hold up with the magnetic wand or really move the pipe cleaners around a lot. 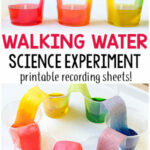 Next time, I plan to make this in a more flimsy water bottle. I actually already have it saved on my counter and just need to transfer the pipe cleaners. However, it was still tons of fun for the kids. 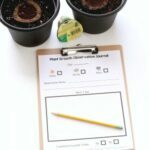 So much so that this activity also served as a great way to work on sharing and patience. 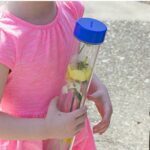 My kids are going to enjoy coming back to this pipe cleaner sensory bottle over and over again this spring! 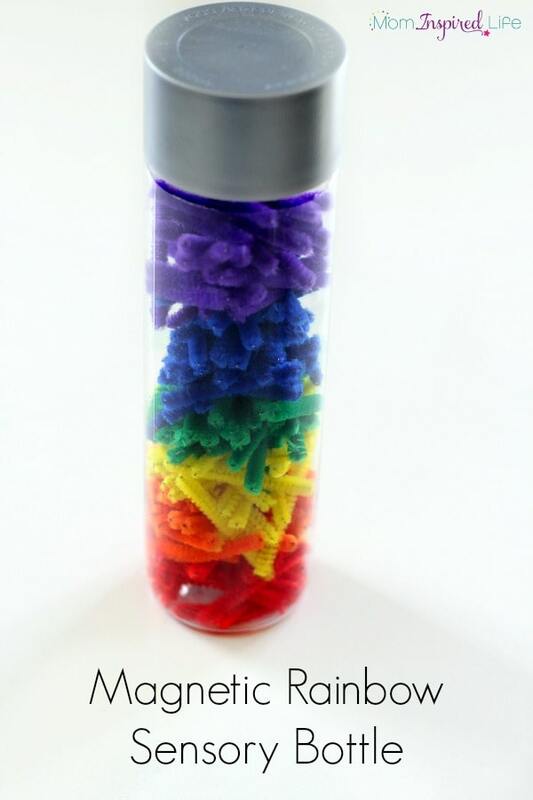 Here are some more fun rainbow sensory bottles!